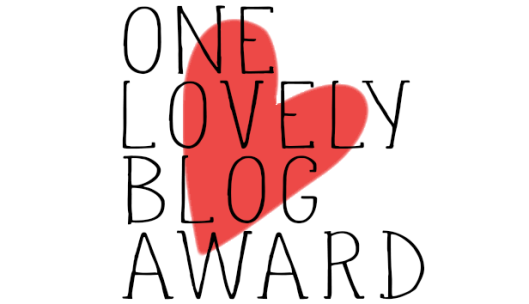 A big thank you and shout out to Hector Sampson over at the Power of Quantum Thinking for the nomination of the One Lovely Blog Award. I accept this award with gratitude and a big smile! Hector writes with an awareness that resonates very deeply with me on a variety of topics spanning from life lessons, handling life’s obstacles, to living with gratitude and everything else in between. Check out his blog for an insightful read. My curiosity is strong. I am the type of person who likes to try everything on the menu, even if I have a favorite item I want to be sure that it is truly the best (for me:) After I’ve explored the many options I’ll settle on a few of my favorites. This is pretty much the way I am in many areas in my life. With that approach I am rarely bored! I am currently attracted to Dahlia’s and they grow well in my region. I am scouring the internet to find just the right variety and combinations for my plantings this spring. I enjoy cooking/baking and I don’t mind the long process of complex dishes. I’ve been known to make three varieties of the same recipe just so I could taste test and find the perfect one! I like to can my own jam with berries, honey and pectin only. Hold the sugar please, but not in baked goods! It is important to me to stay physically fit. Currently, I am taking Barre, Pound and Hot Yoga classes. Lastly, If I could paid to do what I am uniquely passionate about it, it would be to merge my curiosity of the spiritual/metaphysical with my creative vision of bringing the Destination Enlightenment series to the television screen.